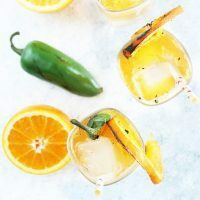 A Grilled Jalapeño Orange Shandy is a spicy, slightly sweet, and beer-focused drink to cool off with on a long, hot summer day! 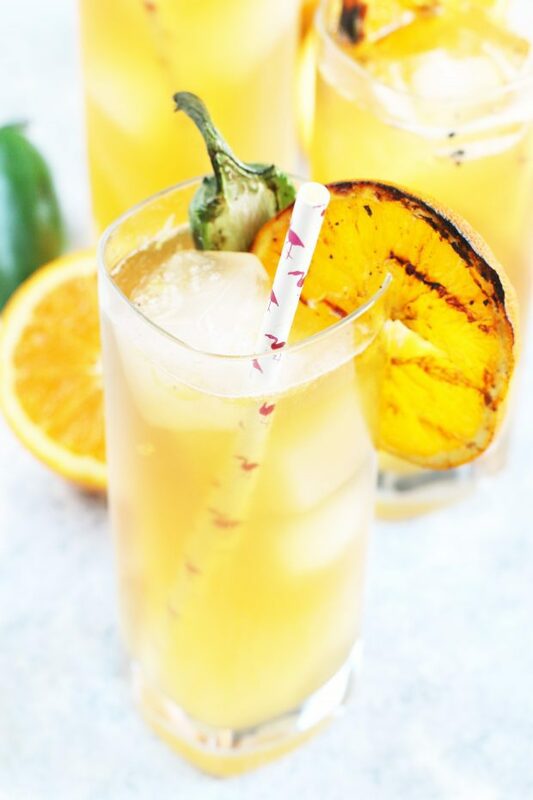 The mix of grilled jalapeños and orange slices in the homemade lemonade pairs perfectly with a simple pale ale. 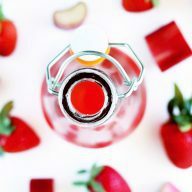 It’s refreshing with just the right amount of heat to tickle those taste buds. Disclosure: This post has been sponsored by Traeger. As always, all opinions expressed are my own. Thank you for supporting the brands that support Cake ‘n Knife! Grilling isn’t just for meats, my friends. If you haven’t gotten on board with grilling fruit yet, it’s time to fire up the good ol’ grill and get on it. Normally you see grilled fruits in a variety of desserts, but today, I’m bring you a whole new way to enjoy them. When I used to have a traditional charcoal grill, I would honestly avoid grilling all the time. Every time I would think about firing up the grill, I would weigh how long it would take to get the grill hot against how badly I wanted to eat something fresh off the grill. Patience happens to not be my strongest virtue, so the grill would remain unused a majority of the time. Of course, every since Traeger came into my life, all of this has changed. 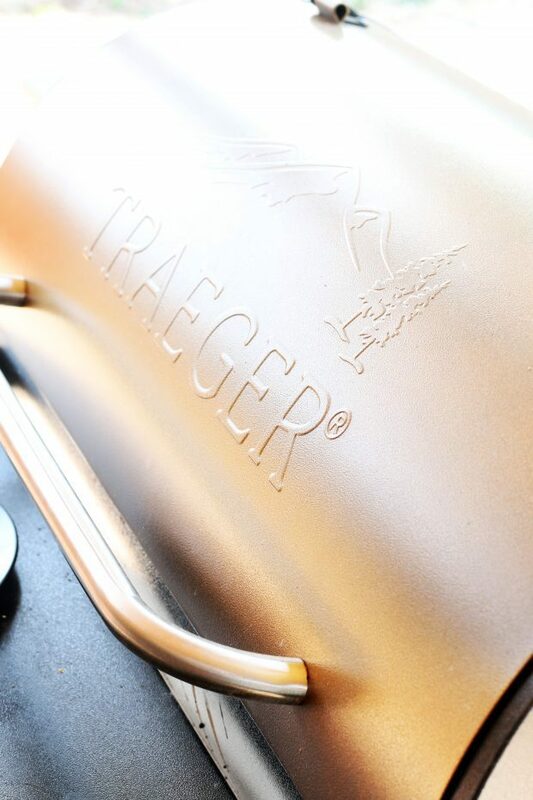 I have been grilling at least four to five times a week, and a lot of that is because of how EASY Traeger grills are to master. It has all the ease of firing up a propane grill, but with so much more flavor, infused from those little wooden pellets that carry all sorts of flavor. I have their Traeger Pro Series 34 Pellet Grill right now, and it is 100% a dream. However, the magic of their pellet technology applies to all of their grills, so it doesn’t matter what level of model you go with. No matter what, you will end up with a grill that you will not be able to stop yourself from firing up every single week. I personally love that using this magical grill means that I don’t have to heat up my house by cooking on the stove or in the oven. That always heats up the rest of the house, and we all know, that’s no fun at all. This is exactly why I’ve started to experiment with making cocktails with grilled ingredients. 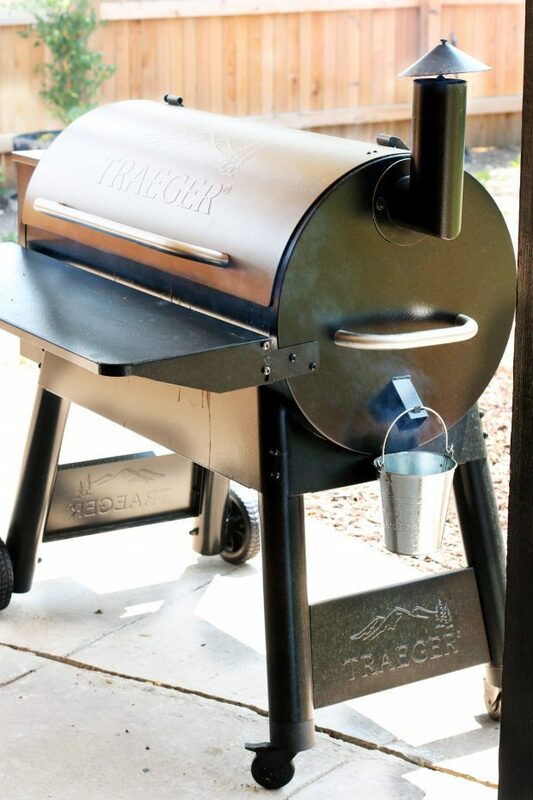 There’s something about that charred, smoky flavor that comes off a Traeger grill. It seeps into whatever you are grilling, but not in an overpowering way. It’s just enough to impart the flavor of the wood pellets, essentially enhancing the natural flavors in the food you are cooking. That’s what happens with the orange slices and jalapeño halves that you grill to make the homemade grilled jalapeño orange lemonade used to make this shandy. 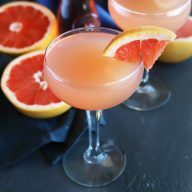 The lemonade is tart, spicy and a little bit sweet, so once it’s combined with a pale ale, the drink dances across your taste buds, giving them the flavorful ride of their lives. are the ideal flavors of wood pellets to use for this particular recipe.
. I know this is a bold statement, but seriously, this grill completely changed everything I thought I knew about grilling, smoking, and so much more. are the high-quality tongs you need for grilling!
. 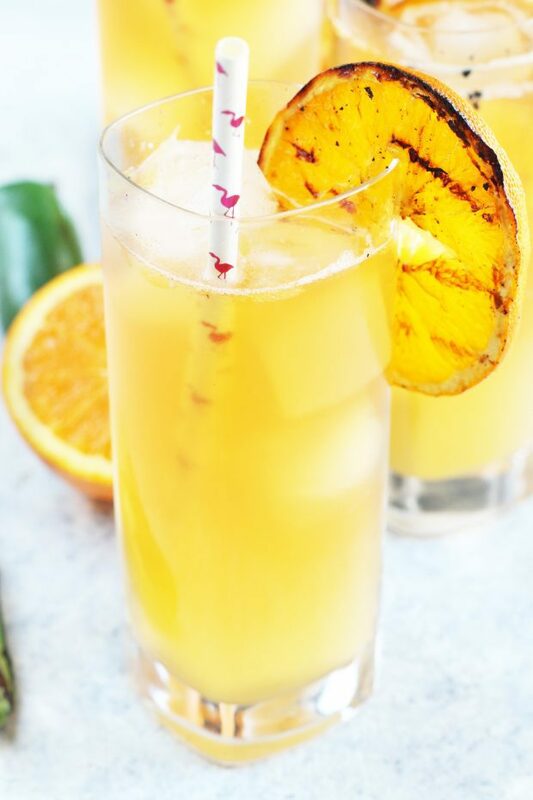 Perfect for this shandy and so many other cocktails! 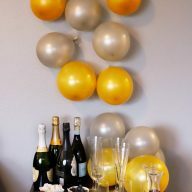 Extra Long Wooden Cocktail Muddler is just the muddler to have on hand, particularly when you are hoping to muddle fruit in a pitcher, just like this recipe. 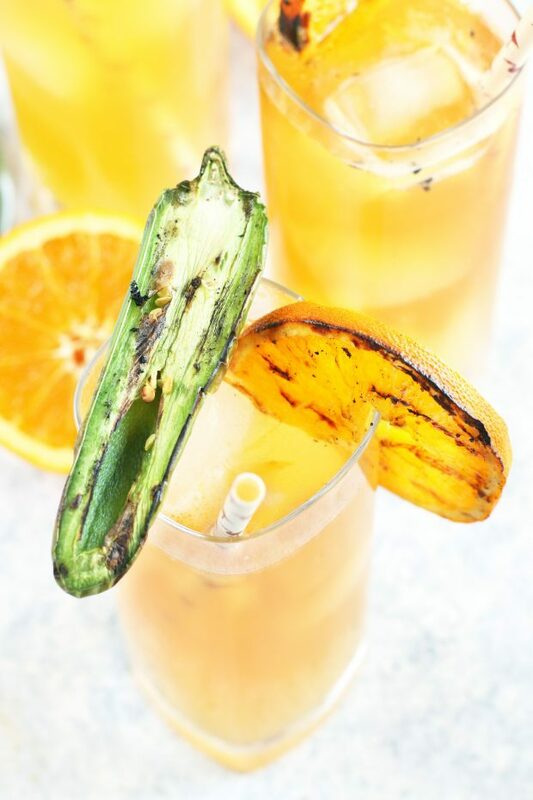 Pin this Grilled Jalapeno Orange Shandy recipe for later! 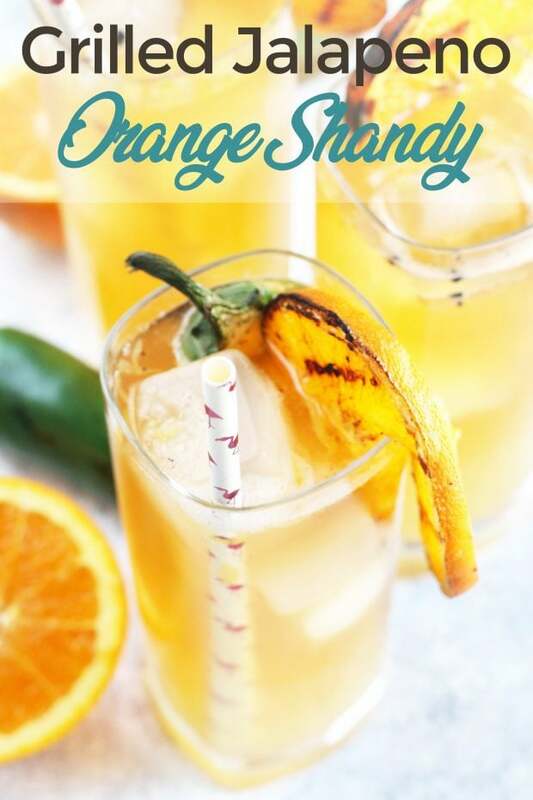 Homemade grilled jalapeno and orange lemonade makes for an excellent upgrade on the traditional shandy! Perfect for pairing with whatever BBQ plans you have in mind. Heat Traeger grill to high. Once the temperature reads at least 400 degrees, add orange slices and jalapeño halves to the grill. Grill for approximately 5 minutes, flipping both pepper halves and orange slices halfway through until they have charred grill marks and are softened. 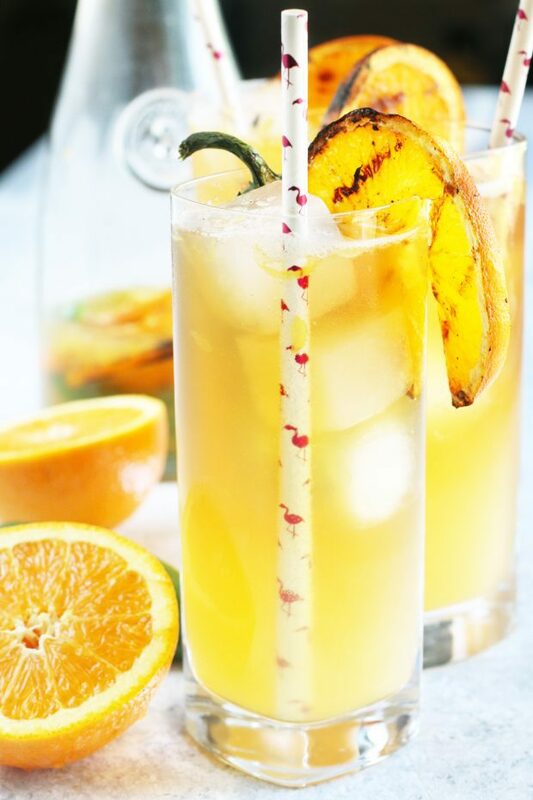 In a large pitcher, muddle together peppers, orange slices, honey and lemon juice (be sure to reserve 4 grilled orange slices for garnish). Add water and stir to combine. Cool lemonade completely in the refrigerator. When ready to serve, strain lemonade into another pitcher through a fine mesh sieve. 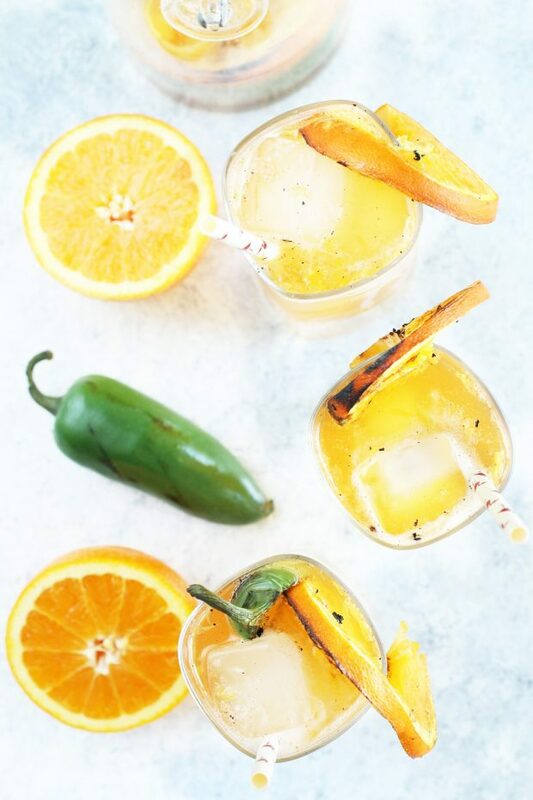 Fill each glass halfway full with the grilled jalapeño orange lemonade. Top with pale ale until the glasses are full. Lightly stir to combine. Garnish each glass with jalapeño and a grilled orange slice. Serve immediately. We have a regular old gas grill. I miss the smokiness. How can I enjoy this incredible drink without the smoky? Heading over to check out those grill now! Beautiful images! Love the orange color! This drink is so festive! This not only sounds amazing but it is pretty! I love the grilled orange touch! I am so curious to try this recipe. You had me on jalapeno. Absolutely gorgeous! Perfect for summer! I love that grilled fruit! That is key for sure!